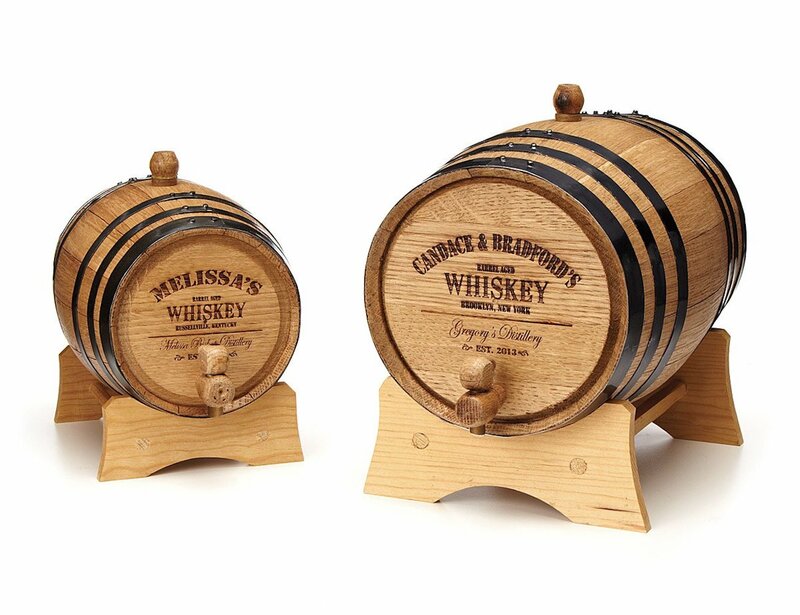 Show some support for your favorite liquor and enjoy aged flavor with the Personalized Mini Oak Whiskey Barrel. 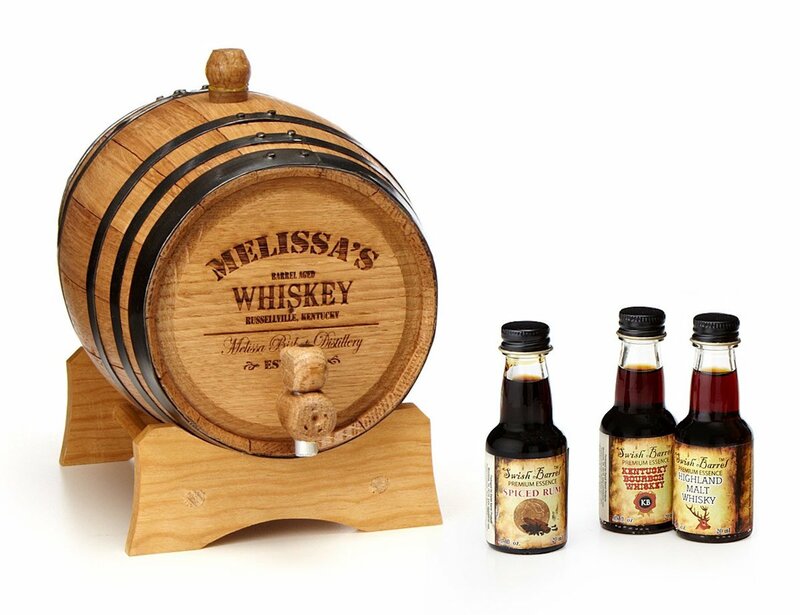 Show some support for your favorite liquor and enjoy aged flavor with the Personalized Mini Oak Whiskey Barrel. 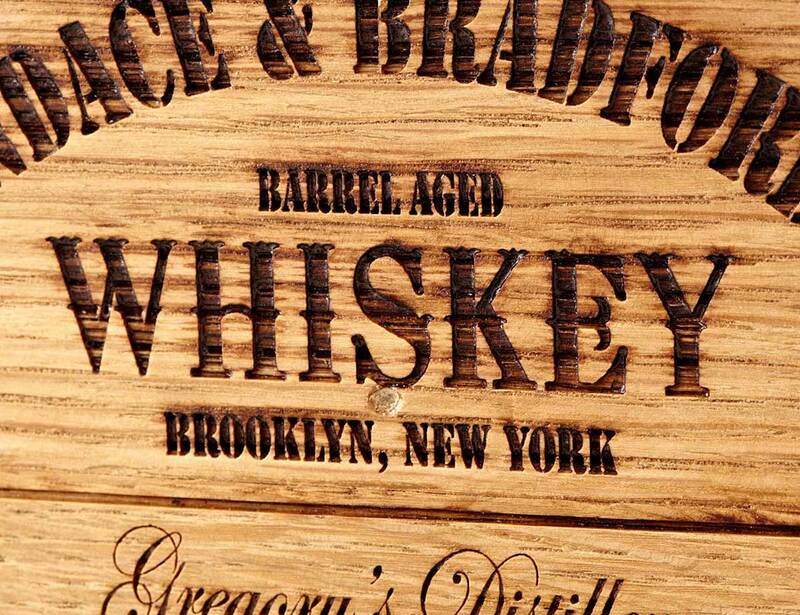 This petite container is the ultimate gift for any whiskey lover in your life. 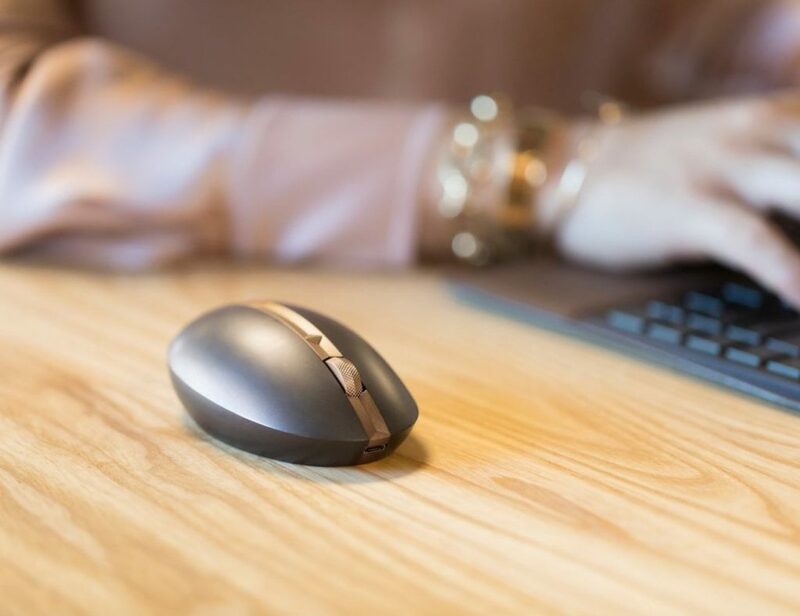 Measuring less than 10 inches long, the miniature barrel helps to accelerate the aging process. In fact, you can expect your spirits to be ready for drinking up to ten times faster. Furthermore, the oak wood adds extra flavor to your whiskey. With extra lignin and lactones, you can expect to get hints of vanilla and coconut, with delicious buttery tones in the background. Meanwhile, tannins from the wood will throw in some spice. 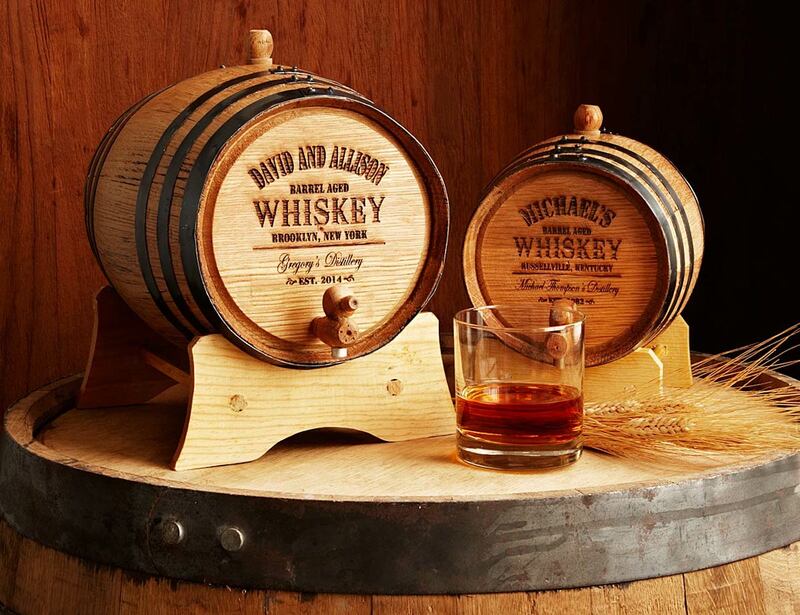 Handmade in Manassas, Virginia, each barrel has its own character. 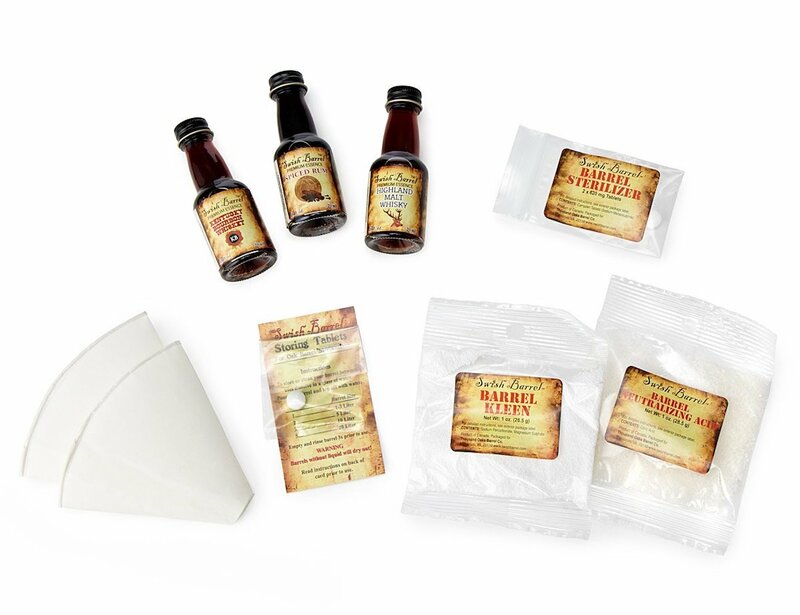 You can pick from two sizes, and throw in a whiskey-making kit if your heart so desires!